My mom used to say every room in your house should have something old in it. It adds character. I think of this when I design the line. Character, uniqueness and authenticity are things I strive for. When I choose yarns for sweaters and knit tops I always look for slub yarns. Slub yarns have little random bumps running through them. When used, they yield a much more interesting surface to work with. We choose the thickness of slubs. Bigger slubs means tons of texture, finer means subtle texture. We even choose the color of slubs in our sweaters. Multi colored slubs are the most fun. 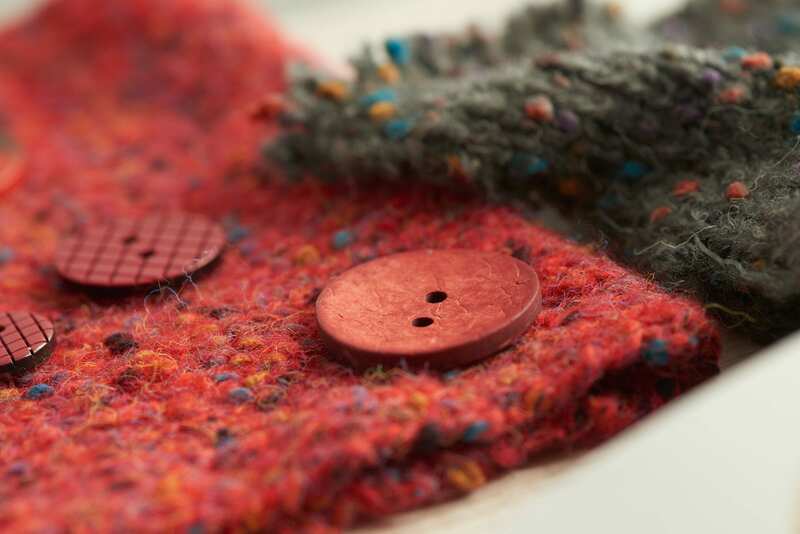 It’s always a surprise to see the first knit downs come through our design studio. We know that the process can be long and tedious and it takes many attempts to achieve the right textures and color, but it’s worth it. We get the character and individual style we’re looking for. 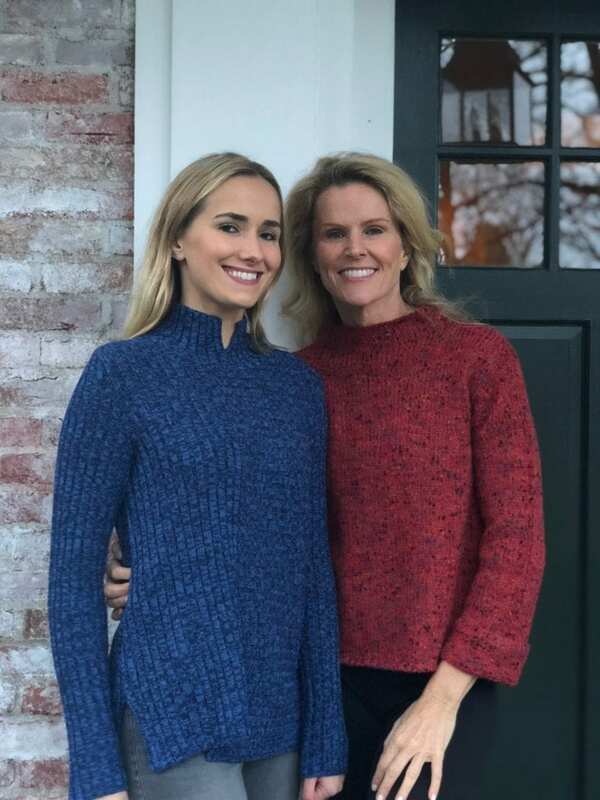 My daughter Liv and I in our favorite slub yarn sweaters deciding how to hang some artwork we found at a local gallery. I design my collection for real women leading real lives. We all want to look relevant and current, but in our own way, reflecting our own sense of self and style. While I’m guilty of pouring over the latest fashion magazines, I’m often thinking, “Who wears that?”. I aim to enhance your style, not dictate it. I have the green three button knit top. I hope you design more tops with this type of fabric. The design is unique with the drape and buttons. I also have the knit black and white sweater that has he slightly stand up collar and is longer in back than in front. I like this sweater but find as it is worn it stretches and feels too loose I would purchase a smaller size next time. These items fit well and help to hide the tummy. I like the fact that they do not open down the front and go over the head.